Simply stated. It is to provide primary schools a whole of school easy and clear lesson plan for the delivery of the VCAA Digital Technologies scope and sequence. Lessons and Modules enable teachers to undertake digital activities which are realistic given the time constraints in most schools whilst specifically aligned to Digital Technologies outcomes. Within each level lessons begin with a digital systems context, then explore data and information and conclude with digital solutions (coding and "hands on" coding suggestions). We have also ensured that their is a cyber safety module with in each level so that it is an ever present focus. 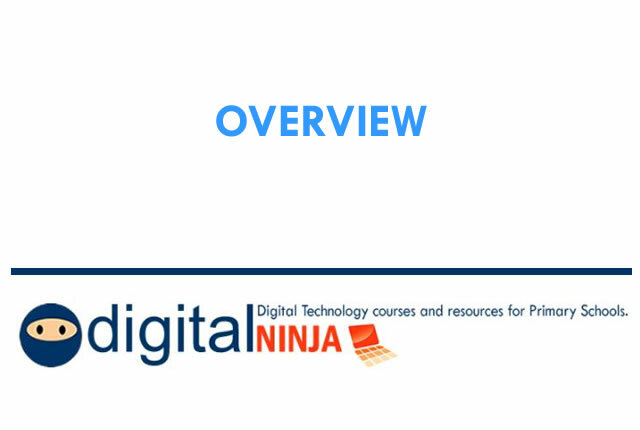 The video below is a quick tour of the DigitalNinja site outling the structure, open pages for you to explore and the strong STEM coding resources.Each level also contains a cyber safety focus. In the video we cover teacher resources, video learning, the Suggested activities, vocabulary, fun links and Digital Technology achievement outcomes offered with each lesson. 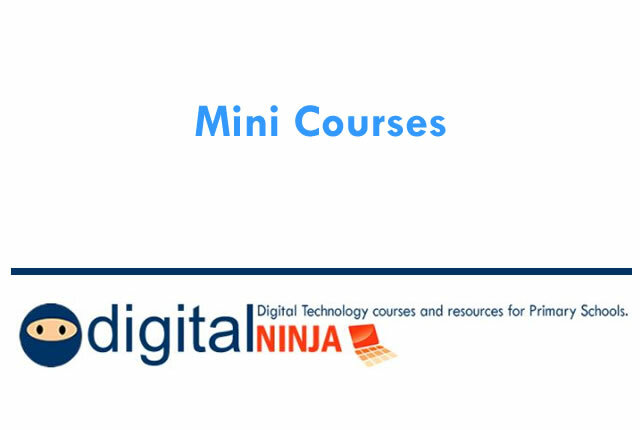 Our mini courses contain our most popular ICT, Cyber Safety and coding short courses. Mini courses are approximately ten weeks in duration assuming one to two time slots can be made available each week. They can be core learning or offered as extension programs. Each course begins with easy learning moving on towards more advanced. A strong emphasis of interactive and creative learning is contained with in each course. 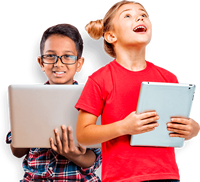 Using the DigitalNinja site will vary from school to school depending on available resources and access to digital equipment.Generally some form of Teacher guidance is required, particularly in the Foundation to 2 years. Introducing the lesson and key concepts. Undertaking the suggested digital activity. Playing the skills video that supports the activity. Extension via the additional resources links. Assessment of the completed activity to determine successful achievement of Digital Technologies outcomes. As students progress to higher levels teachers may opt to move away from being a "sage on the stage" toward a more independent self paced "guide on the side" model. For most teachers a "blended" learning model may be more appropriate. We recommend the use of a digital portfolio system to enable students to showcase their DigitalNinja completed activities. This is a powerful tool for teacher / student conferences. The Sites option within Google Classrooms is a easy tool for all students to use. 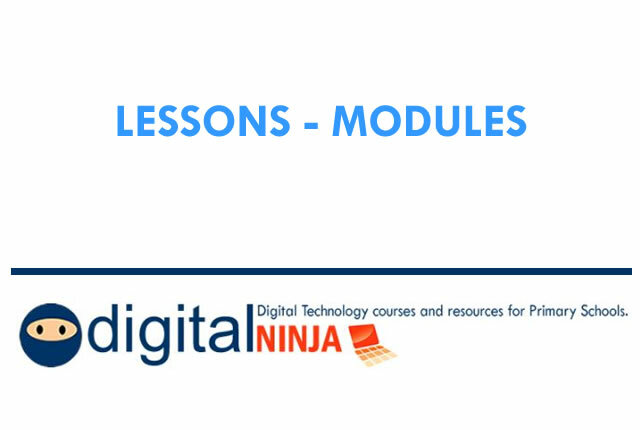 The DigitalNinja program aims to offer young learners a fun and rewarding journey. 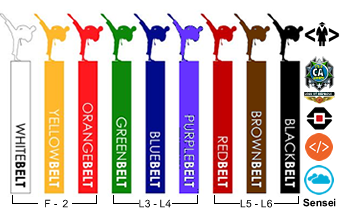 Through the use of lighthearted ninja (karate) system of colored belts, teachers and students can plot their progress. We have provided printable certificates to present at the completion of each level. A teacher may elect to complete a belt level as part of their planning. A school could map out F - 6 outcomes using the belt levels. It's an option. The DigitalNinja team wish to extend our appreciation to our premier partner school (Mitcham PS). We have enjoyed over 20 years of support and engagement with MPS. They have allowed us to tria custom ICT, elearning and digital programs for students and staff. Their feedback and input has been crucial in producing the DigitalNinja program. OzInterBiz (Consultancy) wishes to acknowledge the wide range of other schools that have partnered in our various achievements and initiatives. Learn more. The Victorian Curriculum F-10 and the VCAA website for providing the structural framework when setting out the resources provided. Digital Ninja videos are produced by our team. Simply stated. It is to provide primary schools a whole of school easy and clear lesson plan for the delivery of the VCAA Digital Technologies scope and sequence. Course lessons enable teachers to undertake digital activities which are realistic given the time constraints in most schools whilst specifically aligned to Digital Technologies outcomes. We have set out to offer activities which are achievable in most schools. Of course there are many other ideas and options for achieving the outcomes. These can be sourced from teacher resource links provided within each lesson. Often the concepts and knowledge base required by teachers can be challenging. To support this we have provided (where possible) simple videos to build a better understanding for teachers. The VCAA Scope and Sequence places heavy emphasis on valuing the use of digital technologies to create digital solutions. Solutions are required to be composed from data and information. In turn data needs to be viewed in the context of “digital systems. Within each level lessons begin with a digital systems context, then explore data and information and conclude with creating digital solutions (coding and “hands on” coding suggestions).